Gown from the 2018 couture bridal collection from The Bridal Company, purchased for $2100. Gorgeous, flattering fit. Stunning lace train, low back with illusion neckline. Crystal beading on straps and scattered across the bodice. No flaws. 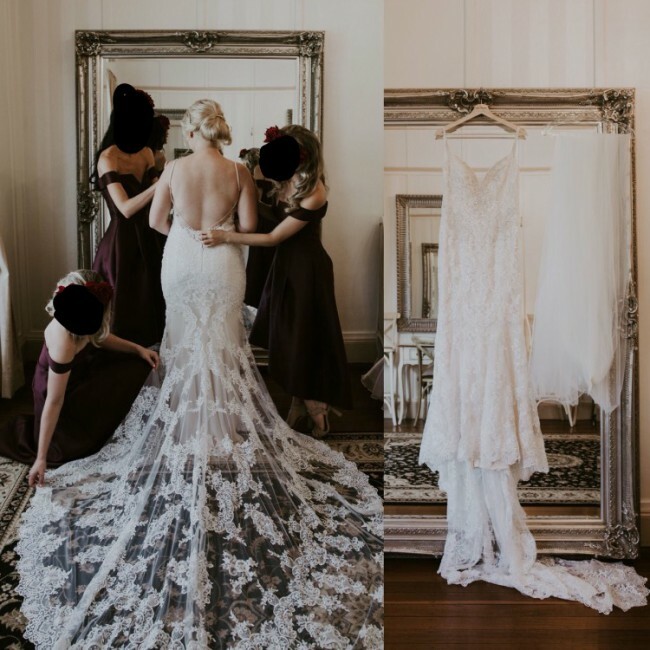 Altered only in length at the front to suit a 160-180cm tall bride. Dry cleaned, only worn once.